I have always loved post cards from the time I was eight years old and would collect them on trips and then I bought more than a few on ebay. But now I have discovered an internet group featuring postcards sent around the world. 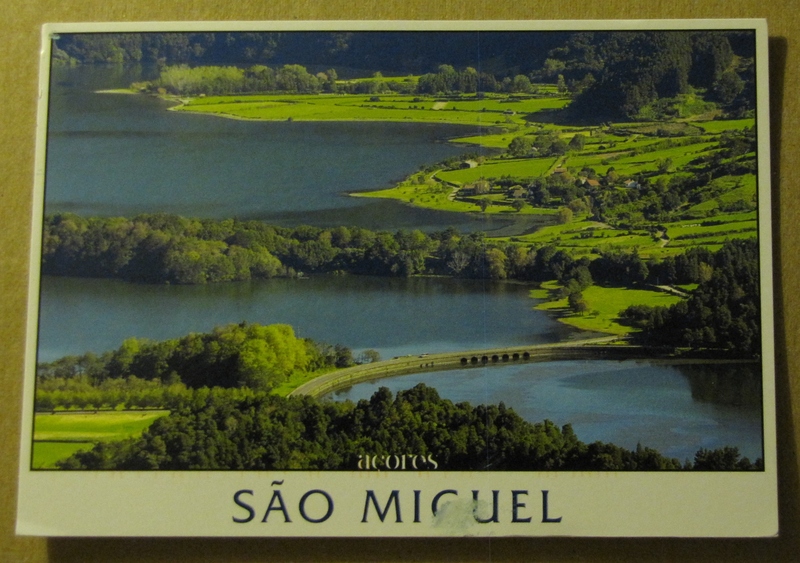 I sent my first card to someone in Germany and on Saturday I received this beauty from the Azores. I’ll be sending some more in the near future but as we have a trip planned for next week, I need to wait until I’m back home.